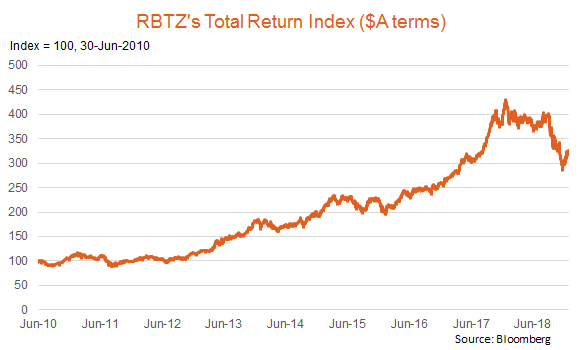 Indeed, the total return index of global robotic companies which the BetaShares Global Robotics and Artificial Intelligence ETF (ASX Code: RBTZ) aims to track fell by 27.5% last year in $US terms, after a rise of 58.3% in 2017. Reflecting the decline in the $A, the total return decline was a smaller 19.7% in $A terms, following a 46.1% gain in 2017. By comparison, the World MSCI All Country equity index returned 1% in $A terms last year, after a gain of 15.1% in 2017. Past performance is not an indicator of future performance. You cannot invest directly in an index. 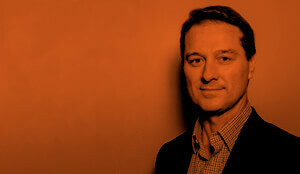 Despite the recent share price declines, as has been previously outlined, there are powerful structural forces – such as population ageing, slowing labour force growth and technological innovation – which are likely to underpin strong global demand for robotic and artificial intelligence (RAI) products and services over coming decades. Robots are being increasingly used in a range of industries, from drones to inspect crops or assess storm damage, driver-less cars and trucks, management of warehouse logistics and delicate medical procedures. While the US economy may start to slow this year, investment in productivity enhancing new technologies should remain solid given rising labour costs and the ongoing benefit of investment tax incentives contained in last year’s tax cut package. As an already dominant global robotic supplier, Japanese Prime Minister Shinzo Abe recently outlined plans to quadruple the size of Japan’s industry by 2020. 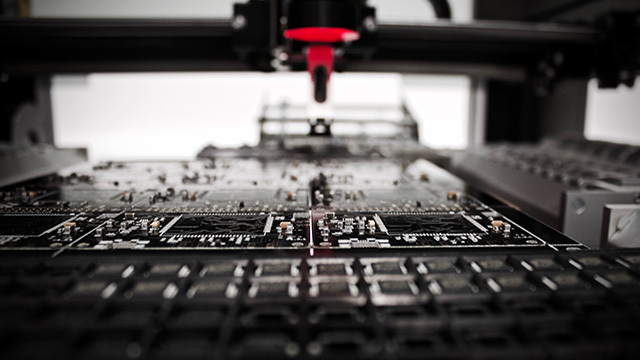 Together with ongoing earnings growth, the share price set back for global robotic and A.I. companies has improved valuations. As seen in the chart below, the price-to-earnings ratio for the Index of companies which RBTZ aims to track had declined to around 22 by late 2018, compared to over 30 times earnings over the previous two years. Given the strong growth potential of firms in this industry, that’s arguably not an unreasonable valuation. Source: Bloomberg. You cannot invest directly in an Index. With the market rebound since late 2018, the Index with RBTZ aims to track had lifted by 12.8% from its lows in $A terms to 25th January 2019. The RBTZ ETF aims to track an Index4 which provides access to the leading global companies likely to be positively impacted by the projected growth in the robotics & artificial intelligence sector over coming decades. 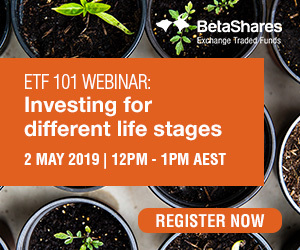 Given the relatively low exposure of Australia’s sharemarket to technology companies, RBTZ could provide a handy source of diversification and growth potential for Australian investors’ portfolios. What’s more, given its relatively higher exposure to the Asian region, and industrial companies in particular, the RBTZ ETF can be viewed as a complement and handy source of technology diversification for investors that may already hold a more traditional global technology exposure such as the BetaShares NASDAQ-100 ETF (ASX Code: NDQ), which has a large exposure to US based information technology companies. *This post is based on research by Michael Hoffmann, Research Associate at Global X, which is a leading US-based ETF provider that currently offers the world’s largest robotics ETF, BOTZ, (according to funds under management as at 31-December-2018). Both Global X’s BOTZ and BetaShares RBTZ ETFs aim to track the same global robotics index, namely the Indxx* Global Robotics & Artificial Intelligence Thematic Index. IDC, “Worldwide Semiannual Robotics and Drone Spending Guide,” Dec 4, 2018.
International Federation of Robotics, “2018 Annual Report,” Oct 18, 2018. The Index RBTZ aims to track is the Indxx* Global Robotics & Artificial Intelligence Thematic Index (“Index”) before fees and expenses. “Indxx” is a service mark of Indxx LLC and has been licensed for use for certain purposes by BetaShares. The RBTZ ETF is not sponsored, endorsed, sold or promoted by Indxx. Indxx LLC makes no representation or warranty, express or implied, to the owners of the ETF or any member of the public regarding the advisability of investing in securities generally or in the ETF particularly. Indxx LLC has no obligation to take the needs BetaShares or the unitholders of the ETF into consideration in determining, composing or calculating the underlying index. Indxx LLC is not responsible for and has not participated in the determination of the timing, amount or pricing of the ETF units to be issued or in the determination or calculation of the equation by which the ETF units are to be converted into cash. Indxx LLC has no obligation or liability in connection with the administration, marketing or trading of the ETF. Thanks for your enquiry. Please note that RBTZ is a passive ETF which aims to track the Indxx Global Robotics & Artificial Intelligence Thematic Index. As a result, the underlying holdings are not being actively managed or changed.